Oklahoma Connection | Harreld came with his wife and son to Ardmore, Oklahoma, in 1906. John Harreld, a large boy for his age, was only seven years old when he went to work on his father’s Kentucky farm plowing corn, cradling wheat, grinding sugar, and raising tobacco. A college professor often sent him money to buy otherwise unobtainable books that Harreld earnestly devoured by the age of seventeen. The first Republican Senator from Oklahoma (1921-1927), John W. Harreld was born in Kentucky and attended the National Normal University in Ohio, Bryant and Stratton Business College in Kentucky, and was a lawyer when he moved with his wife and son to Ardmore, Oklahoma early in 1906. The family moved to Oklahoma City in 1917 and Harreld became an official in the Homa-Oklahoma Oil Company. He was elected to Congress in 1920 and became a U.S. Senator in 1921. 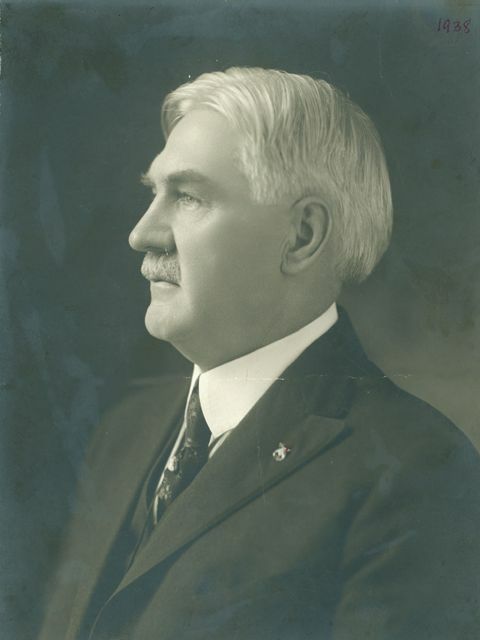 He was defeated in 1926 by Senator Elmer Thomas and ended his term in March of 1927. He remained in Oklahoma in private business undertakings and was the manager-director of the Petroleum Building in 1937. Harreld was one of only three Republican senators during the first sixty-one years of statehood and served as the Chairman of the Committee on Indian Affairs (1923-1927), where he reported on the bill which conferred American citizenship on all native-born Indians.